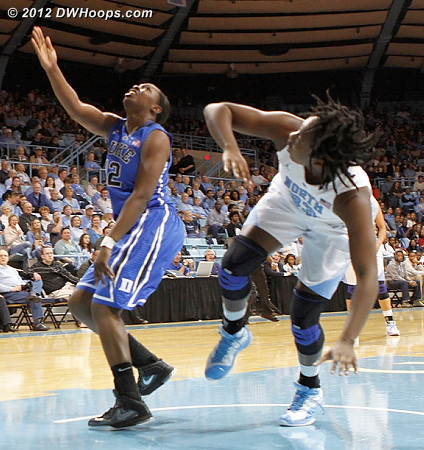 DWHoops photos appear in chronological order to best illustrate the story of today's game. 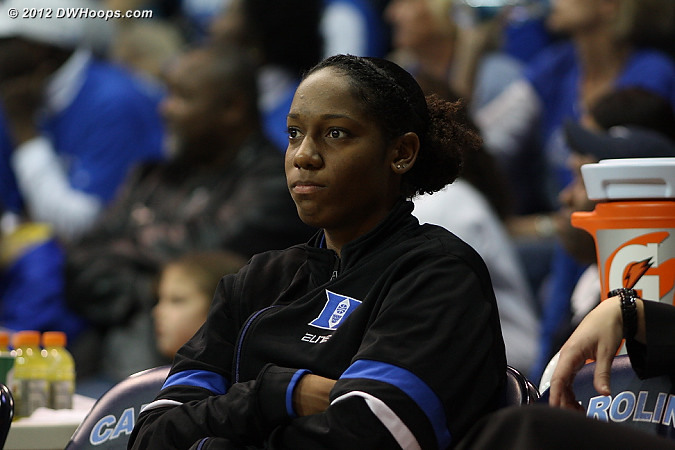 DWHoops members may log in to see additional photos, and larger versions of all photos. 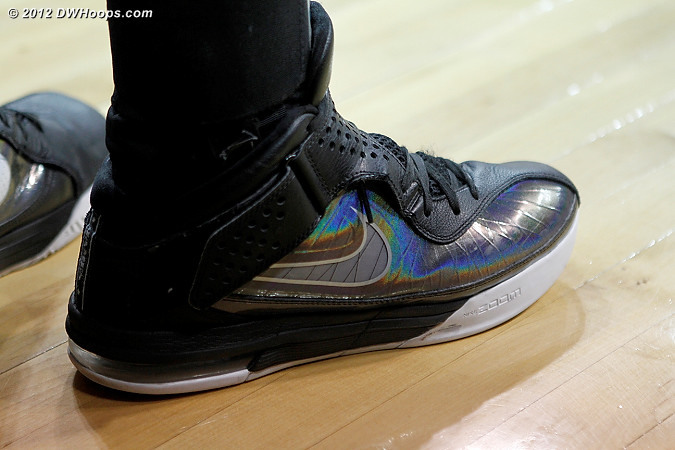 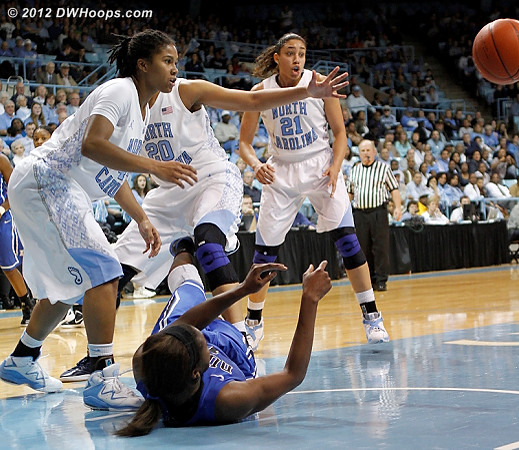 Second Half Photos have been added! 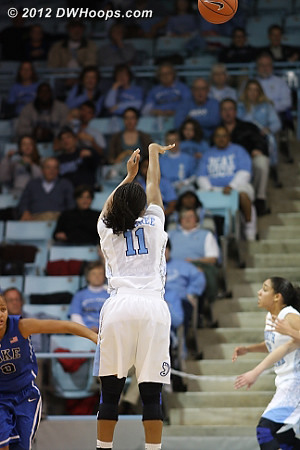 Williams for three... er, no. 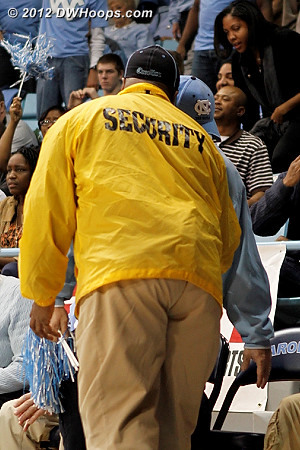 ...so mad that stadium security intervenes! 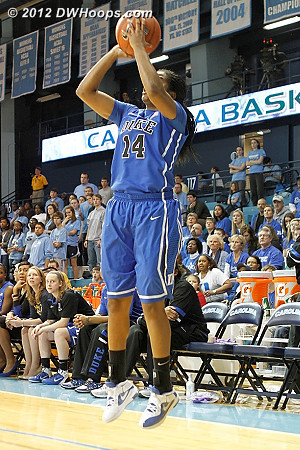 Vernerey again showed great confidence in her shot. 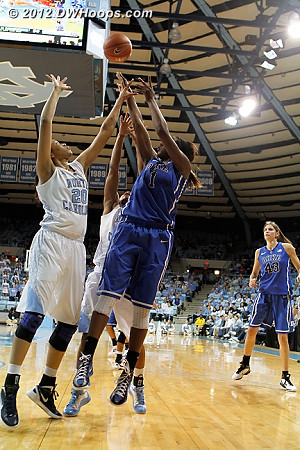 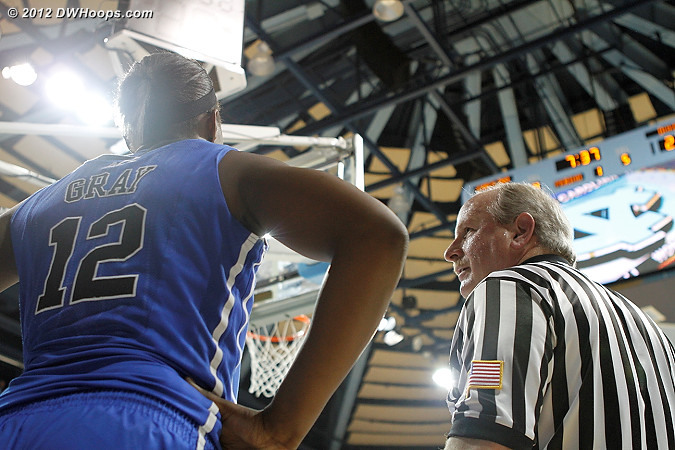 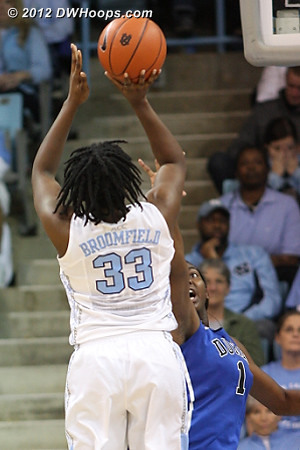 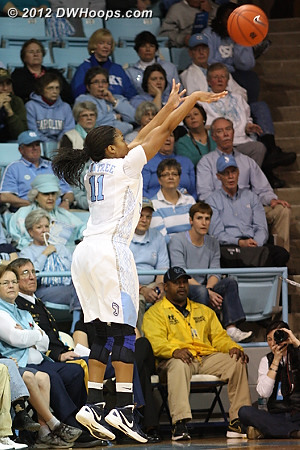 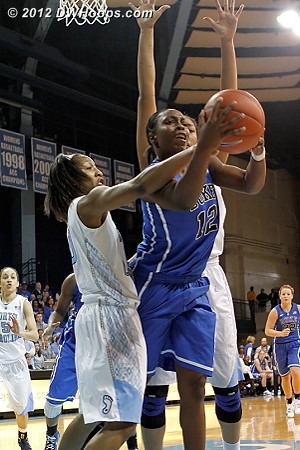 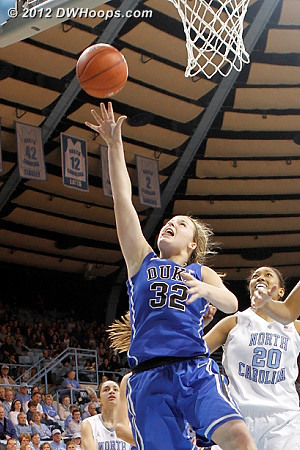 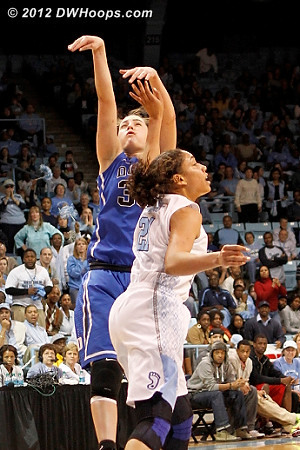 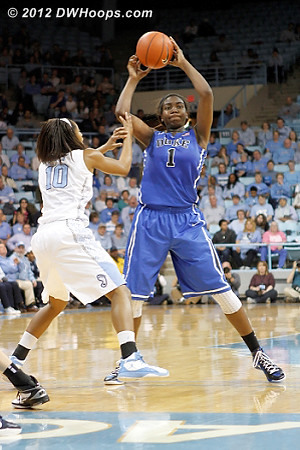 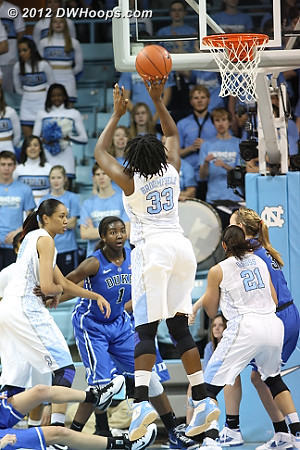 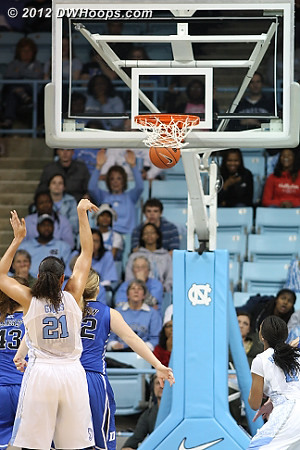 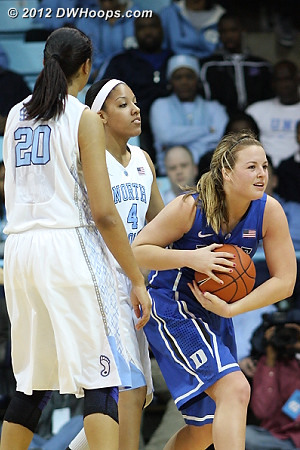 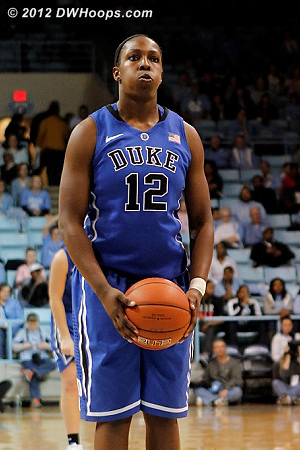 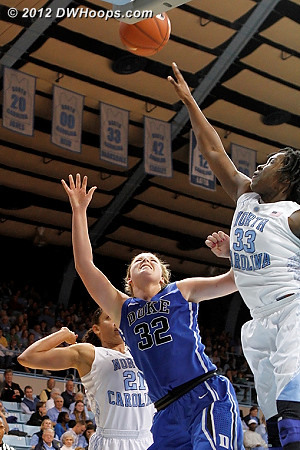 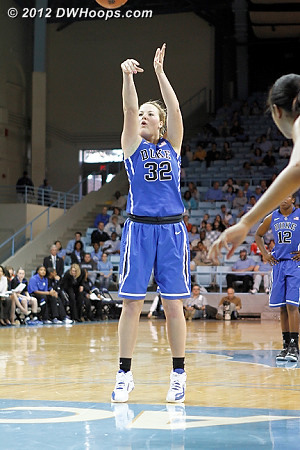 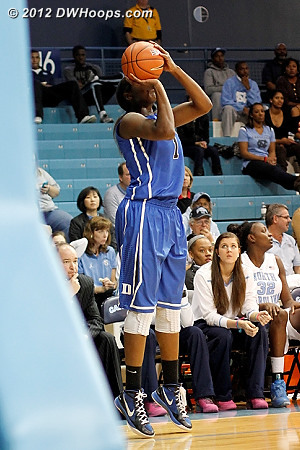 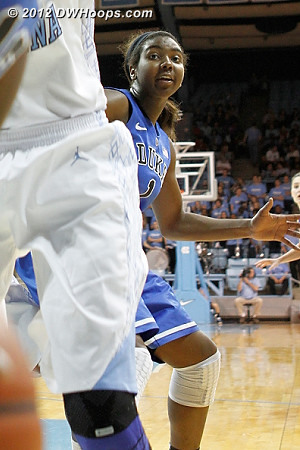 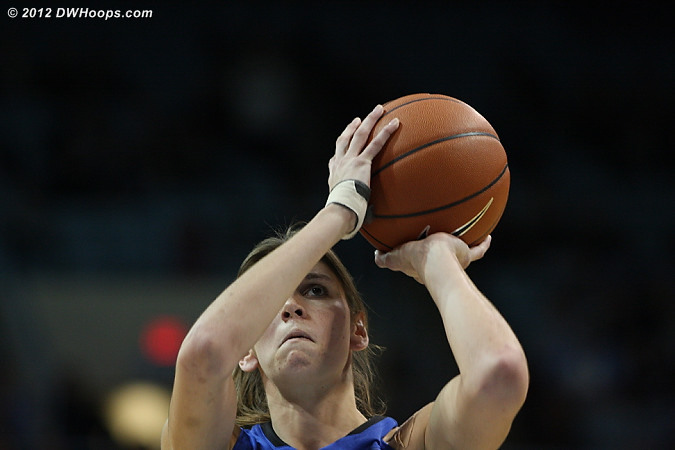 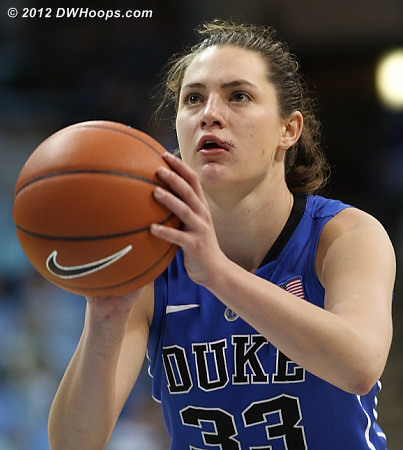 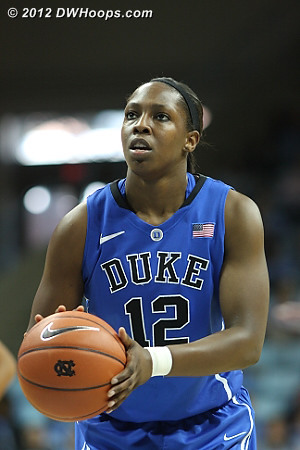 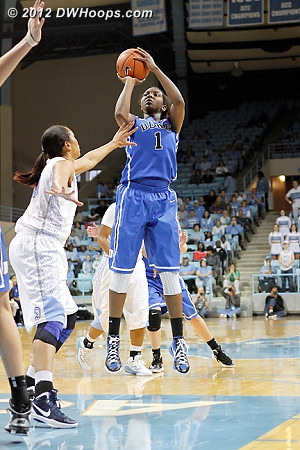 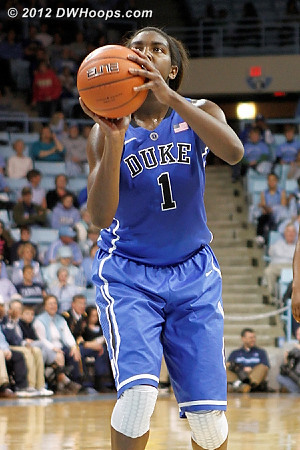 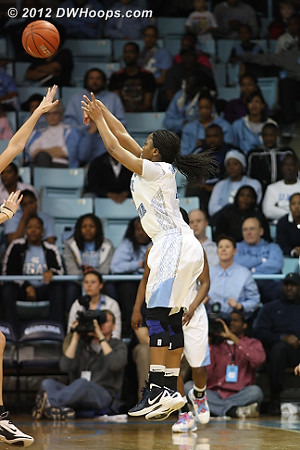 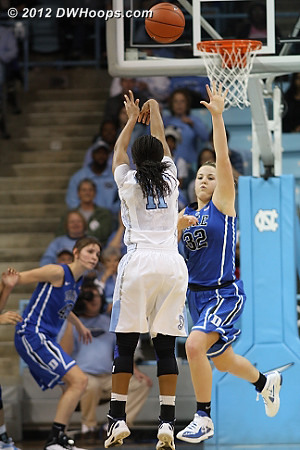 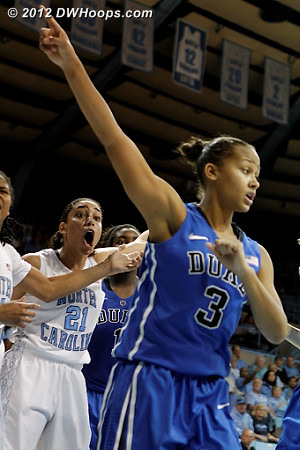 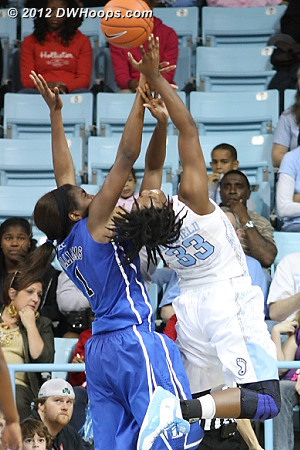 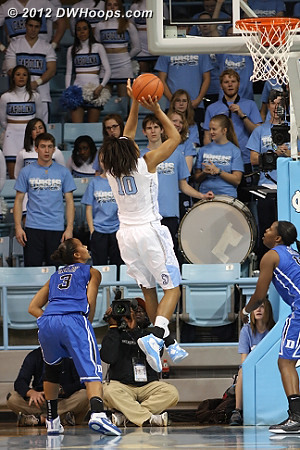 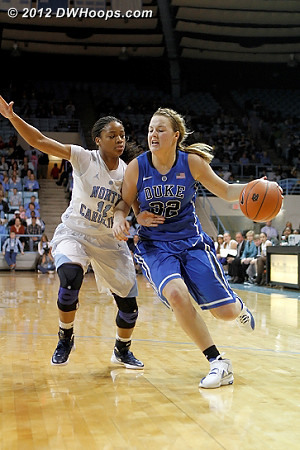 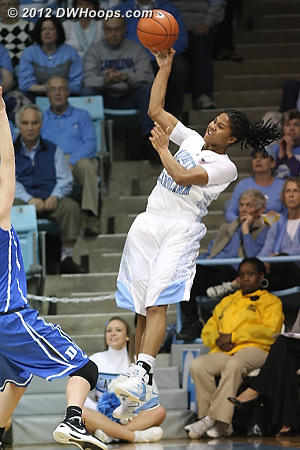 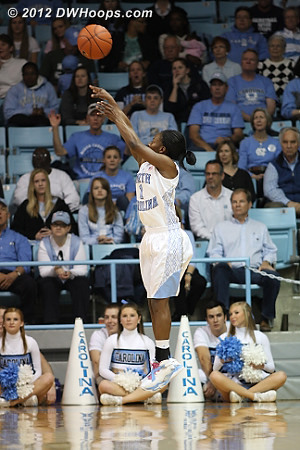 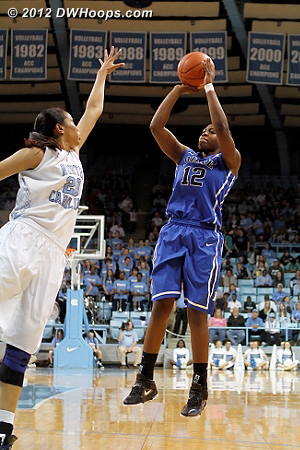 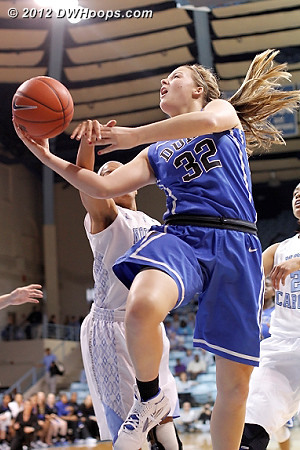 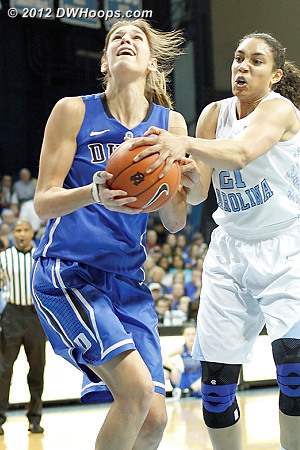 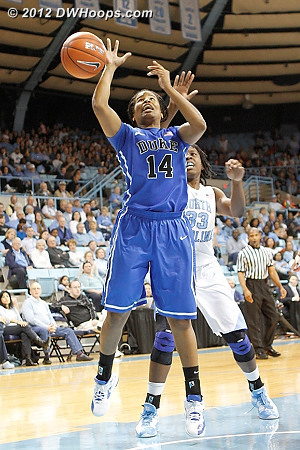 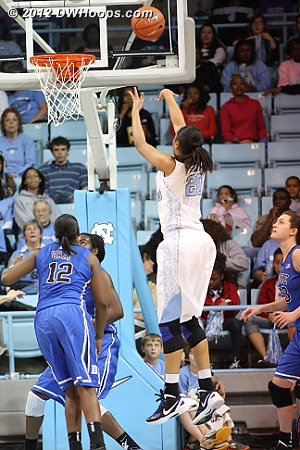 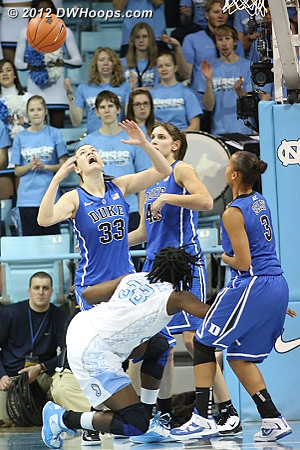 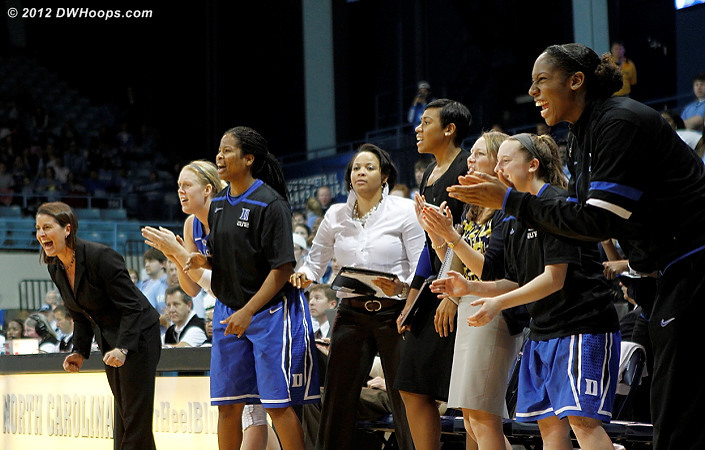 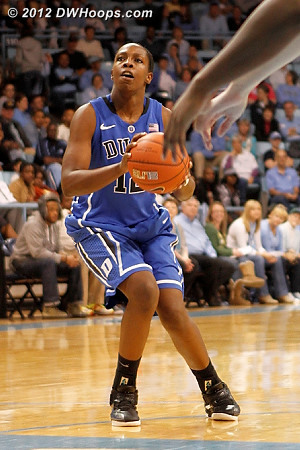 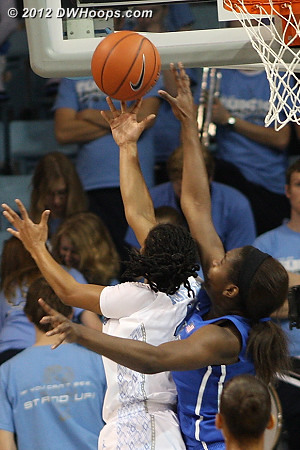 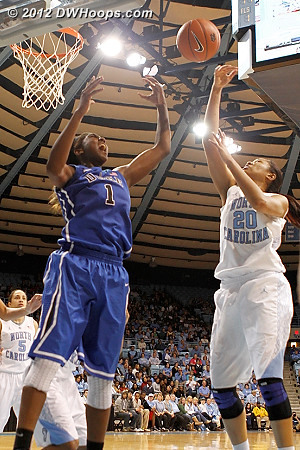 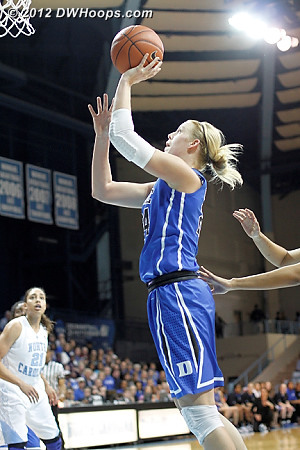 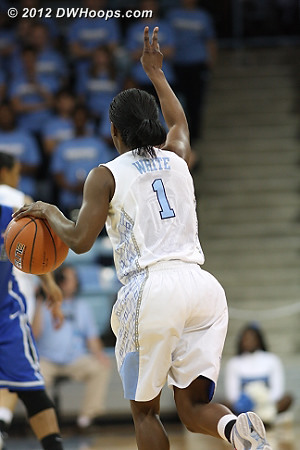 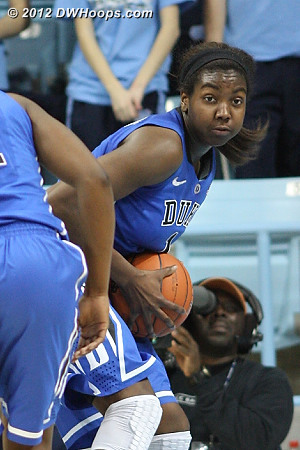 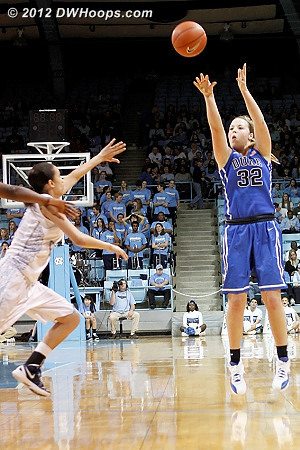 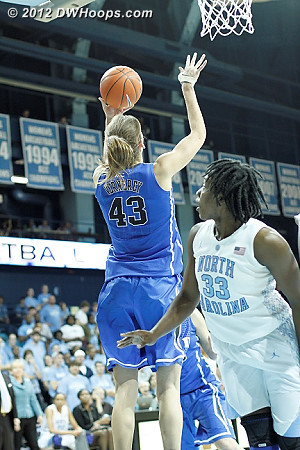 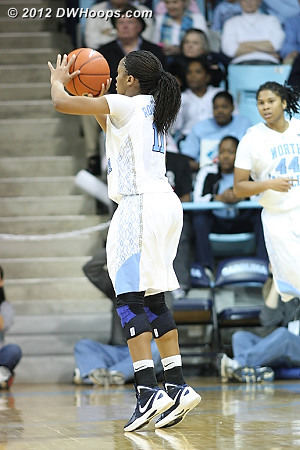 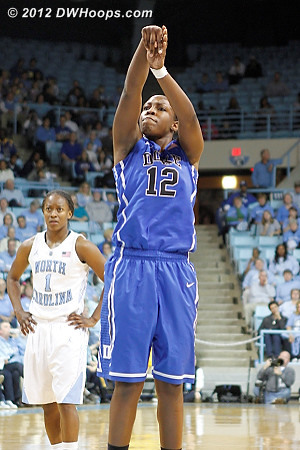 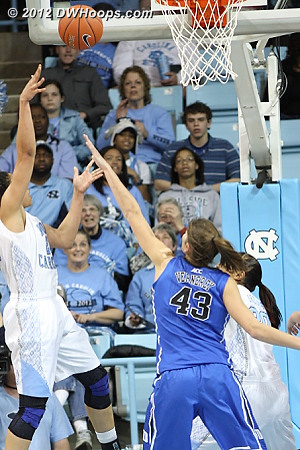 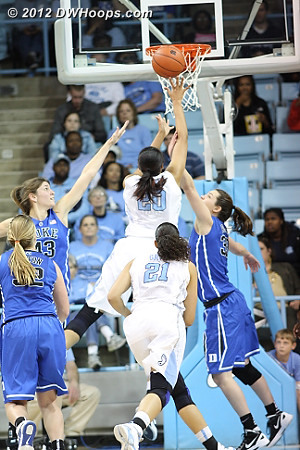 Williams stuck back her miss for Duke's biggest lead, 17. 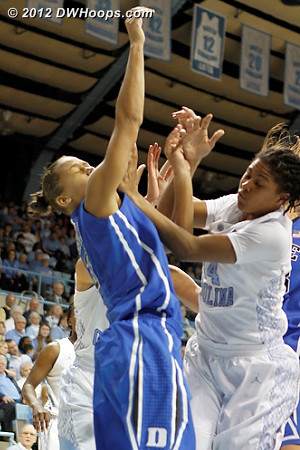 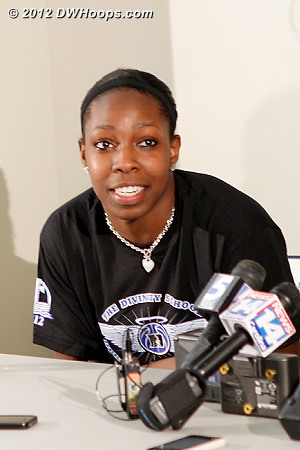 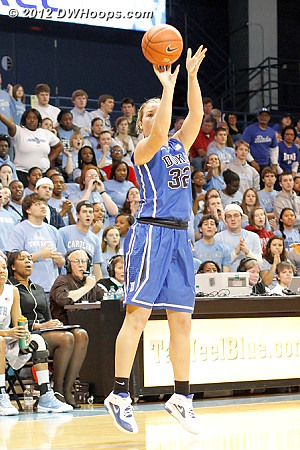 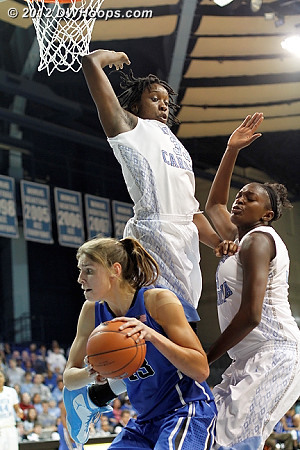 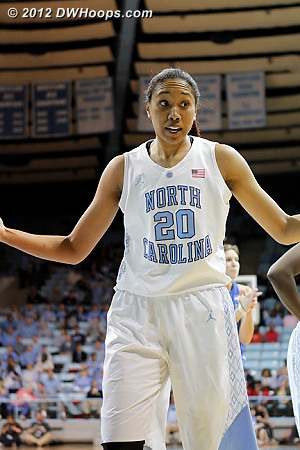 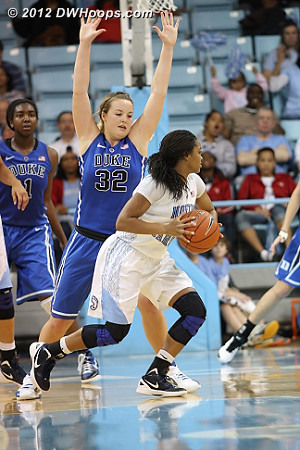 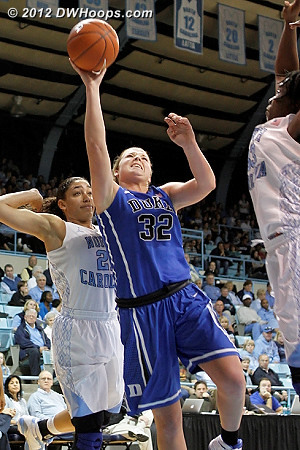 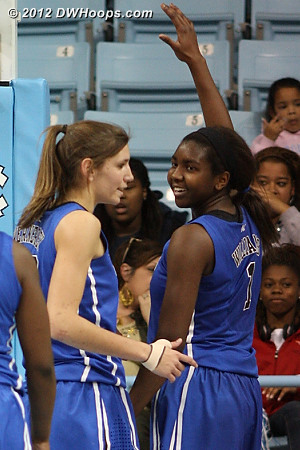 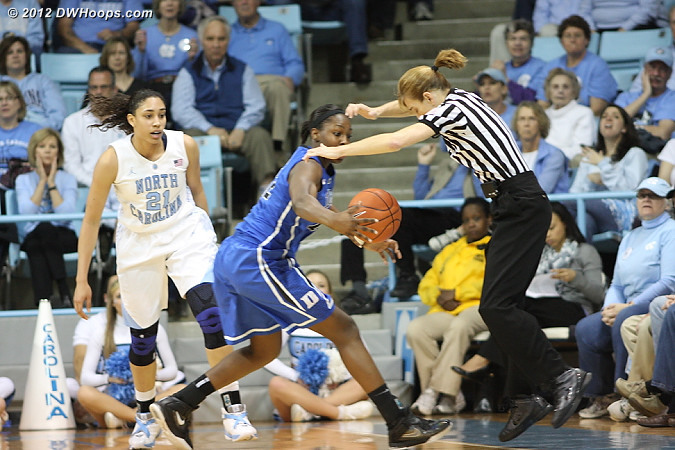 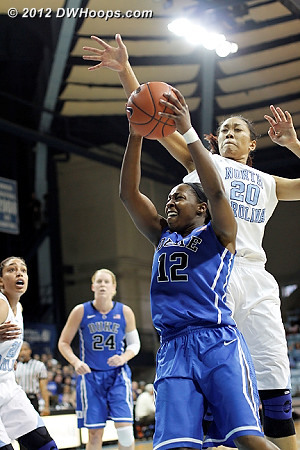 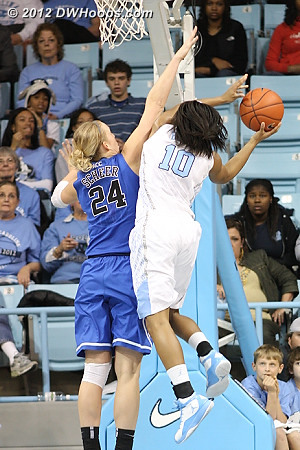 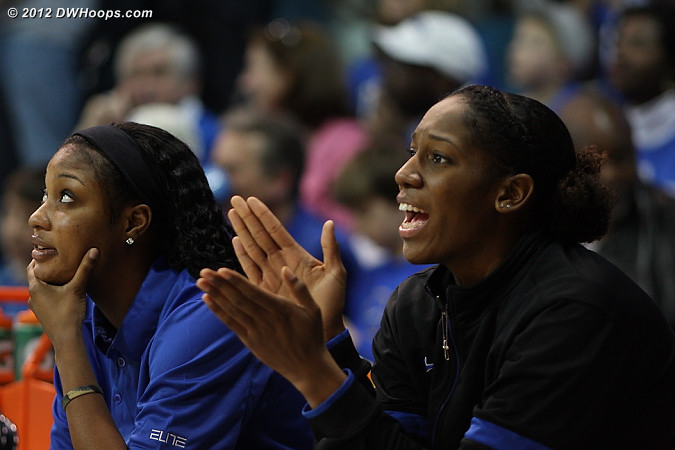 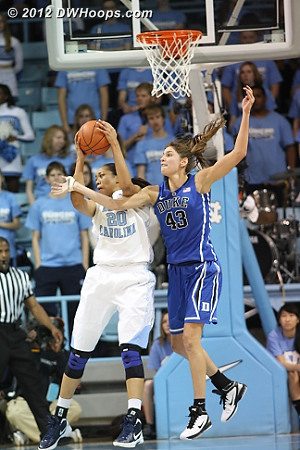 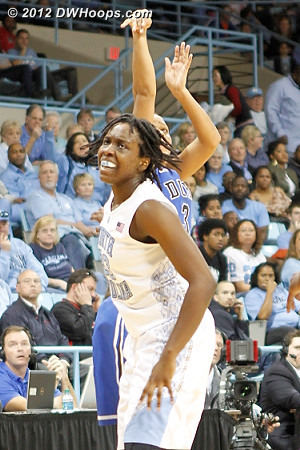 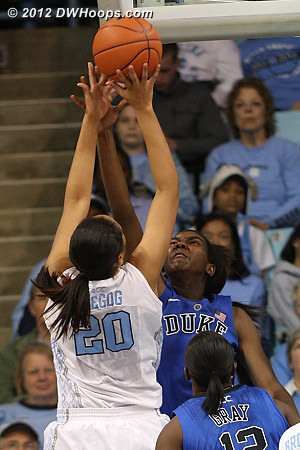 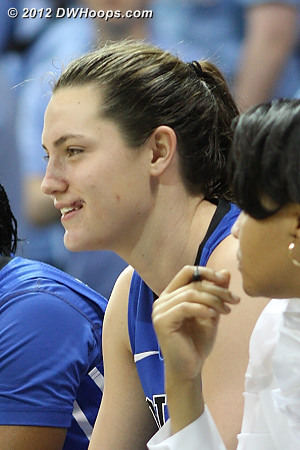 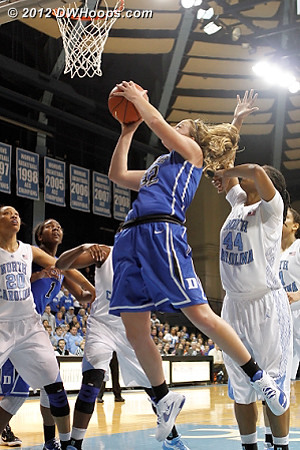 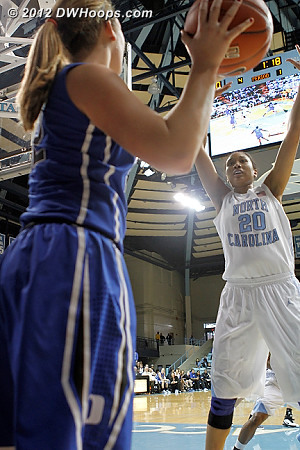 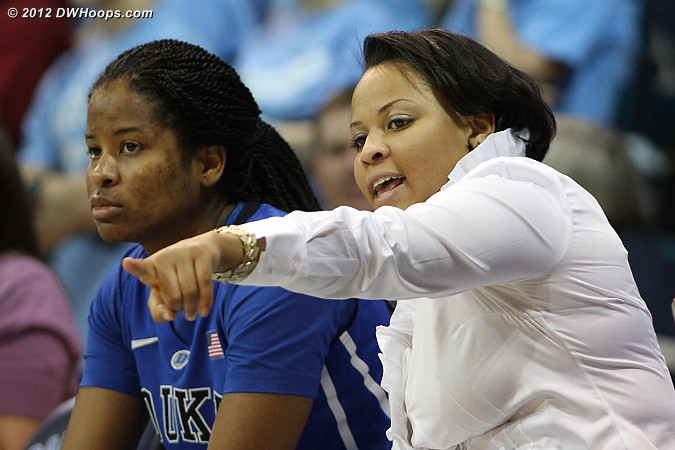 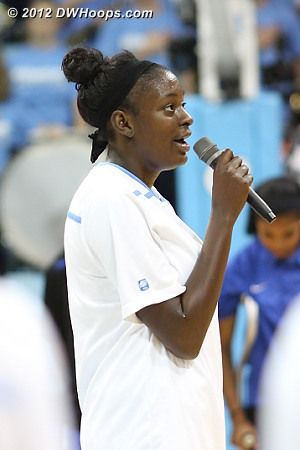 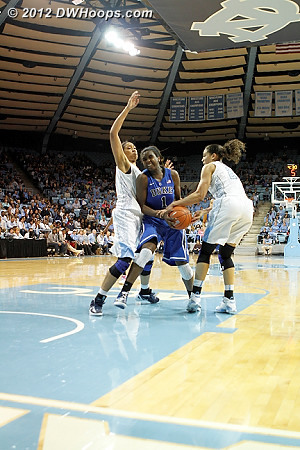 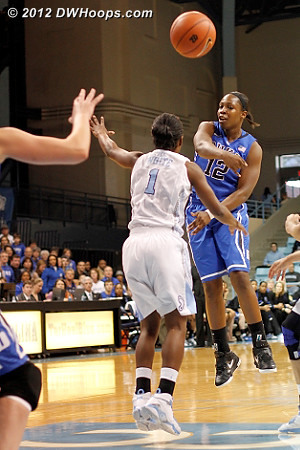 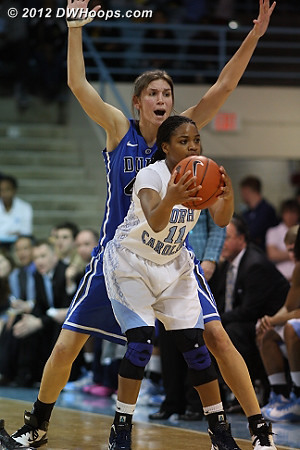 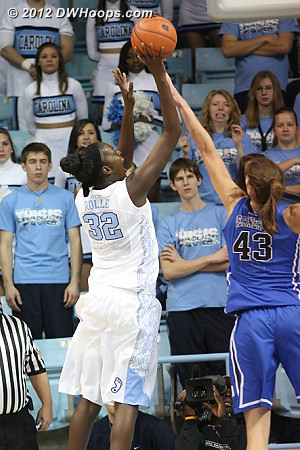 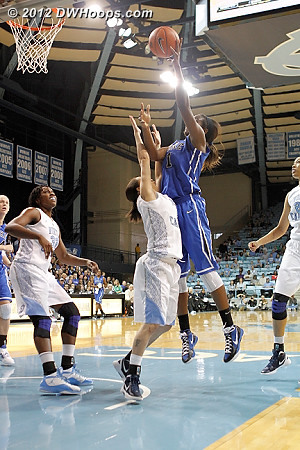 Joy Cheek was a player on Duke's last team to win in Chapel Hill, putting in an excellent performance in that 2007 64-53 victory. 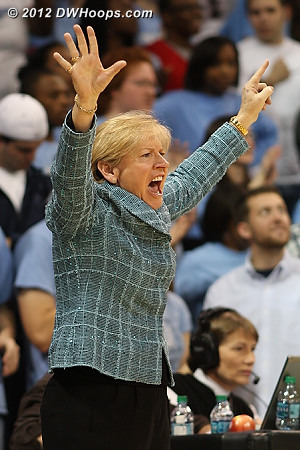 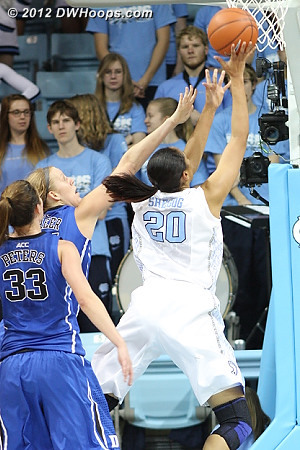 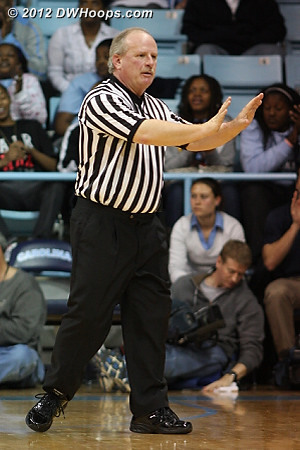 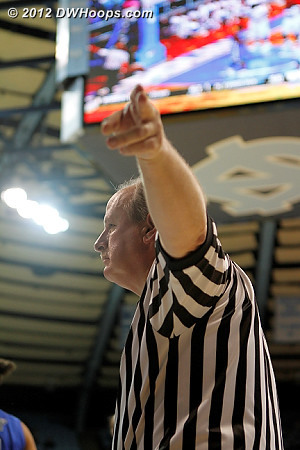 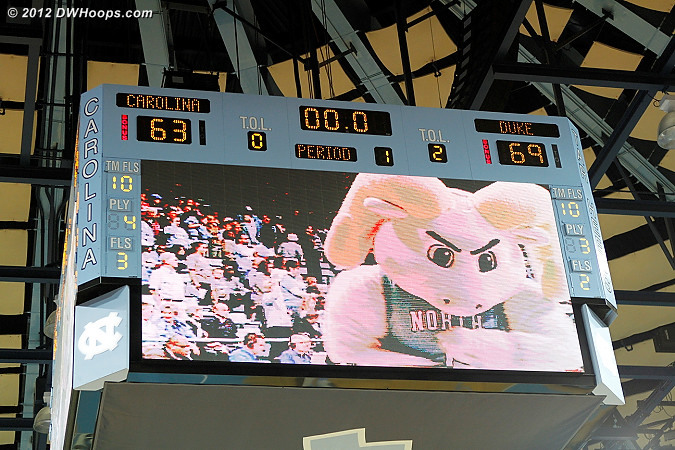 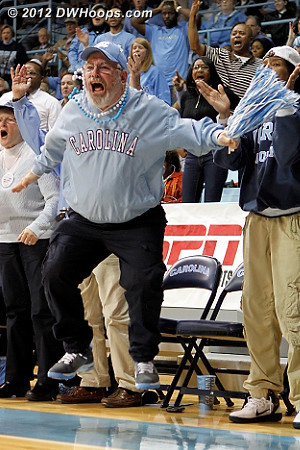 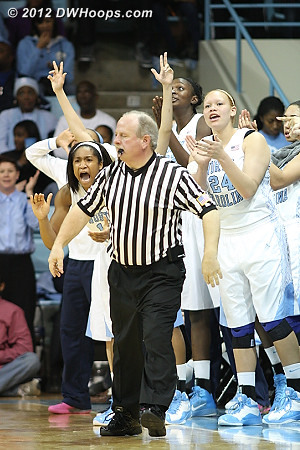 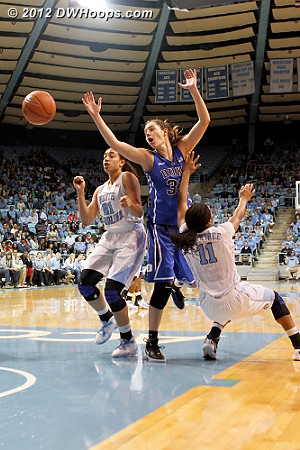 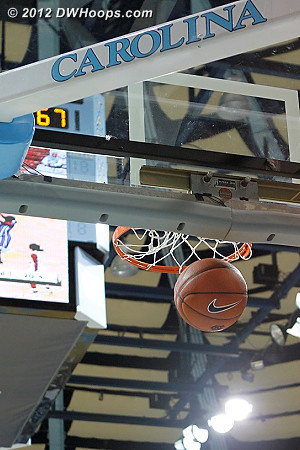 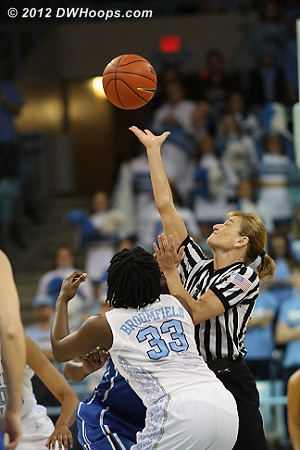 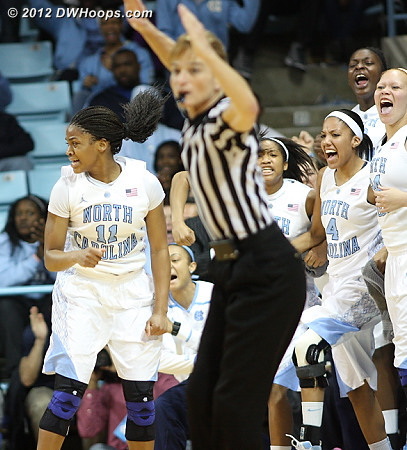 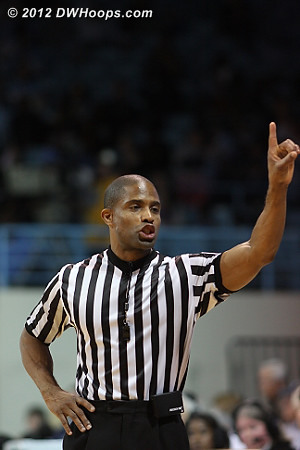 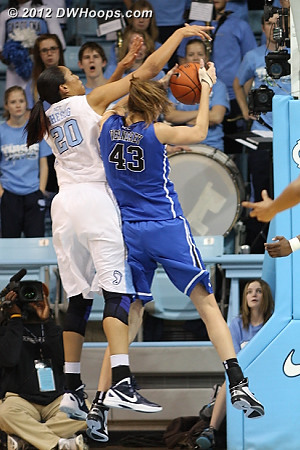 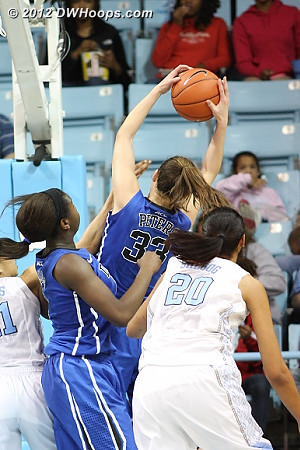 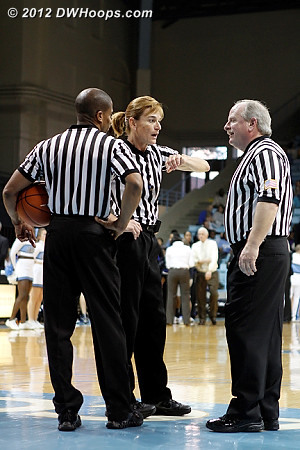 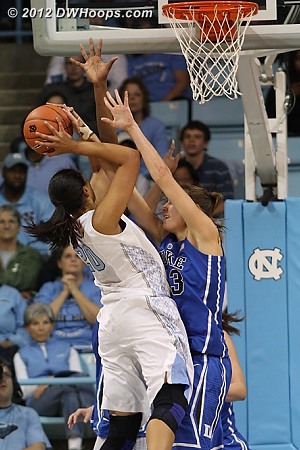 With Duke up four and under 30 seconds to go, Carolina wisely put Vernerey on the line. 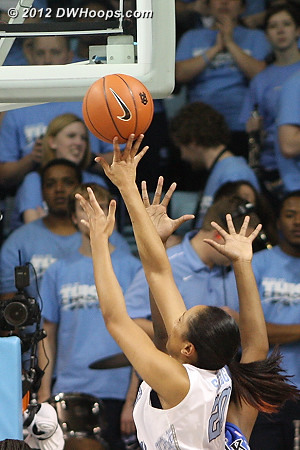 She missed both, but Peters got the rebound. 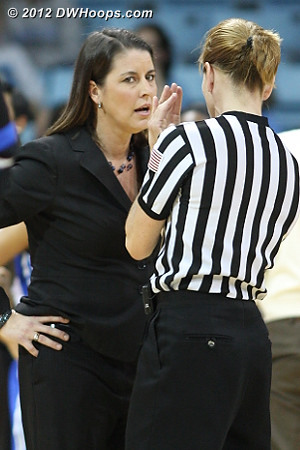 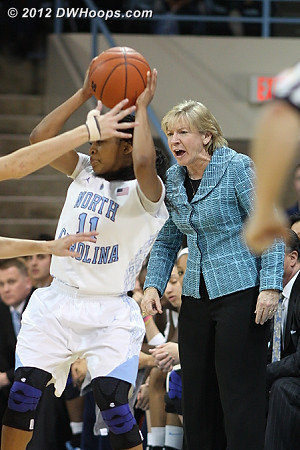 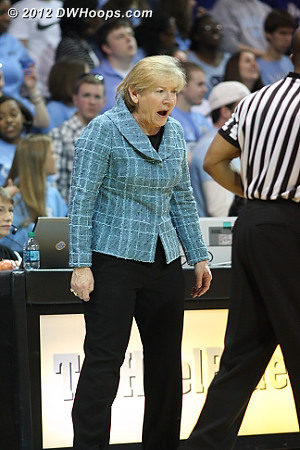 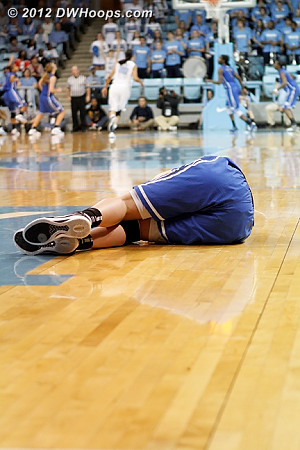 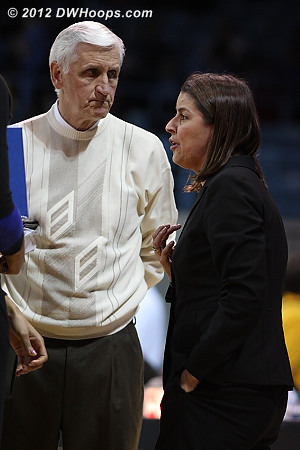 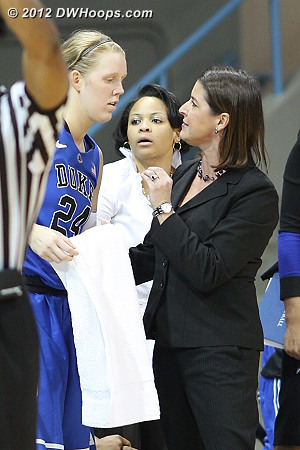 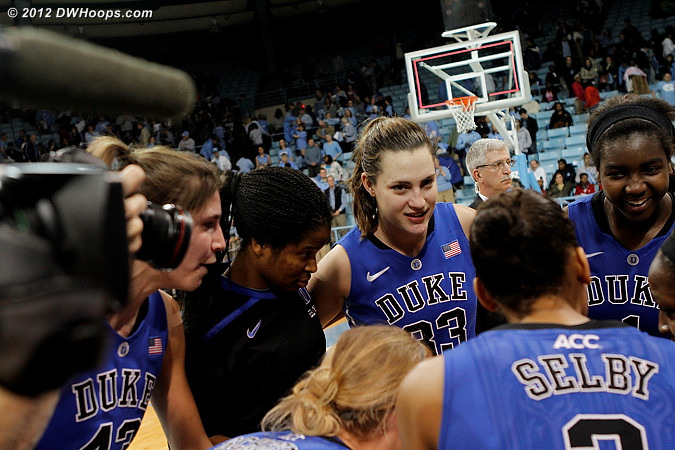 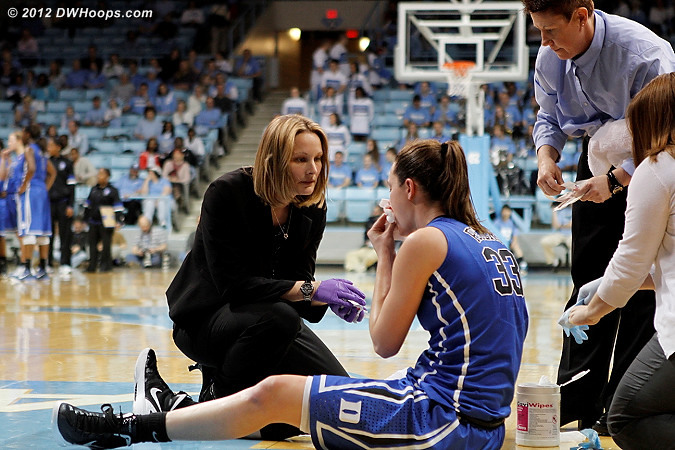 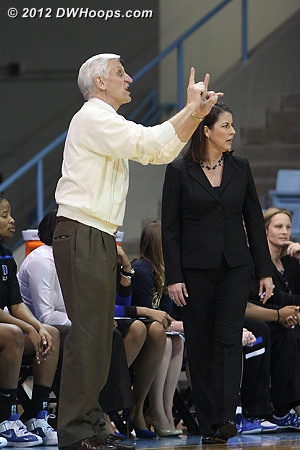 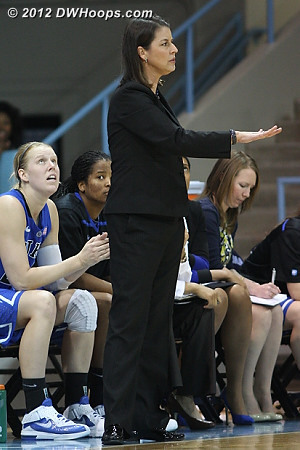 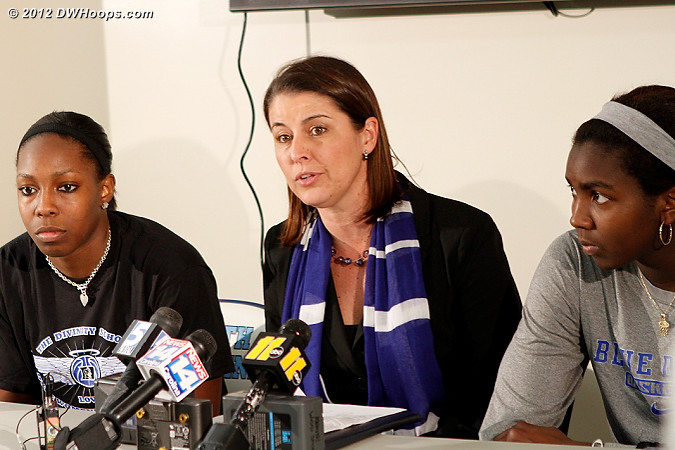 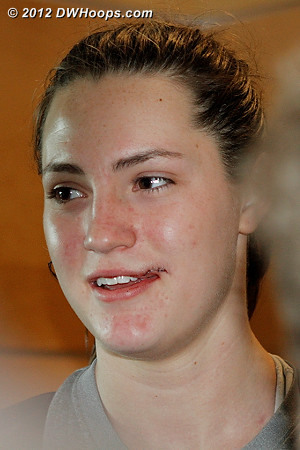 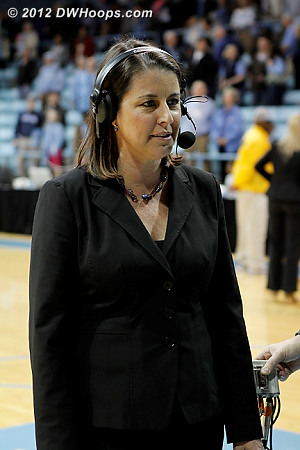 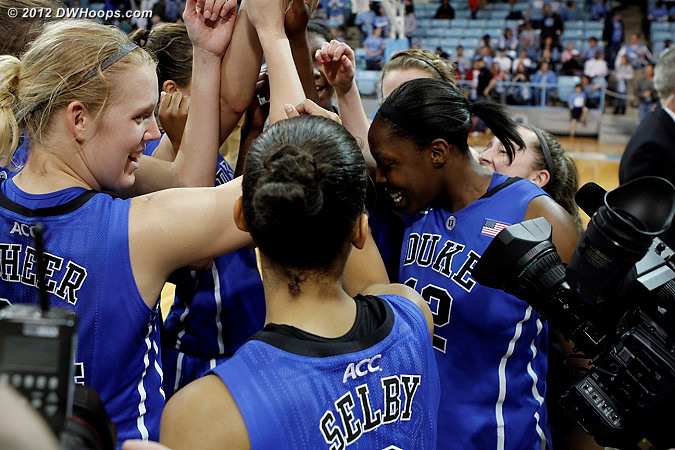 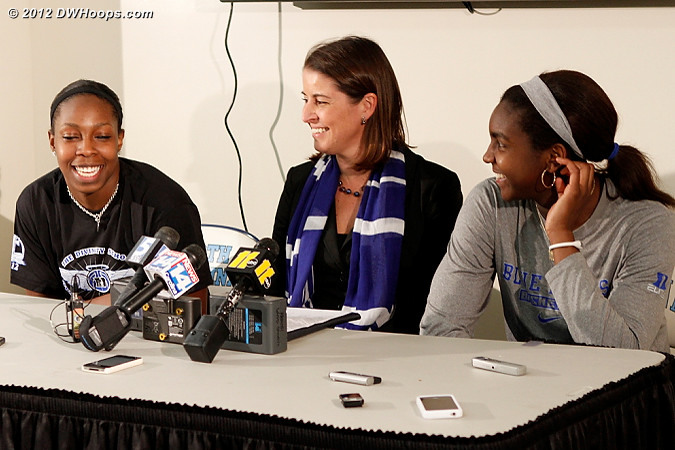 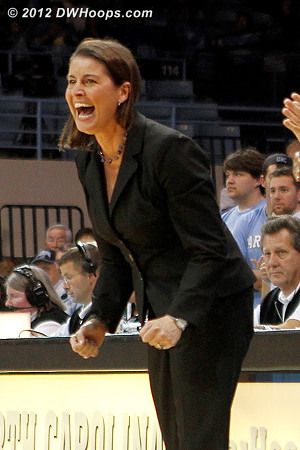 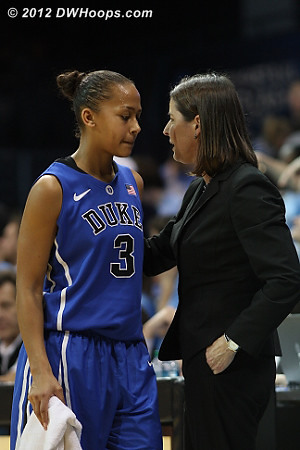 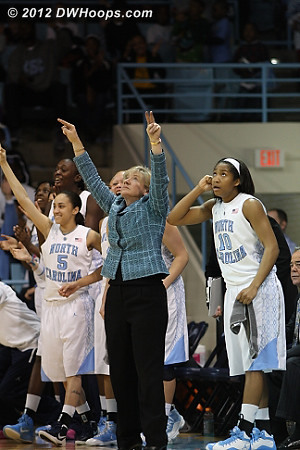 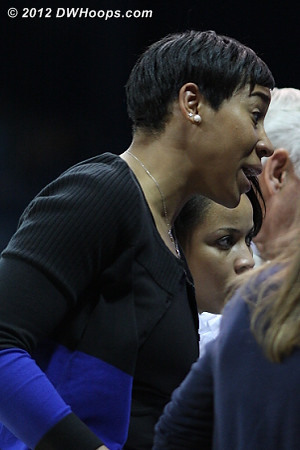 In the postgame huddle Chelsea remarked that Duke hadn't won in Chapel Hill in a long time, and "let's get out of here!" 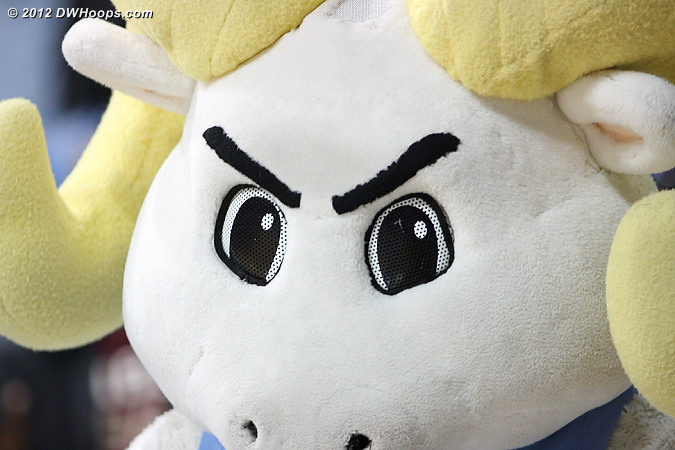 It was mostly smiles as this was the one that didn't get away.